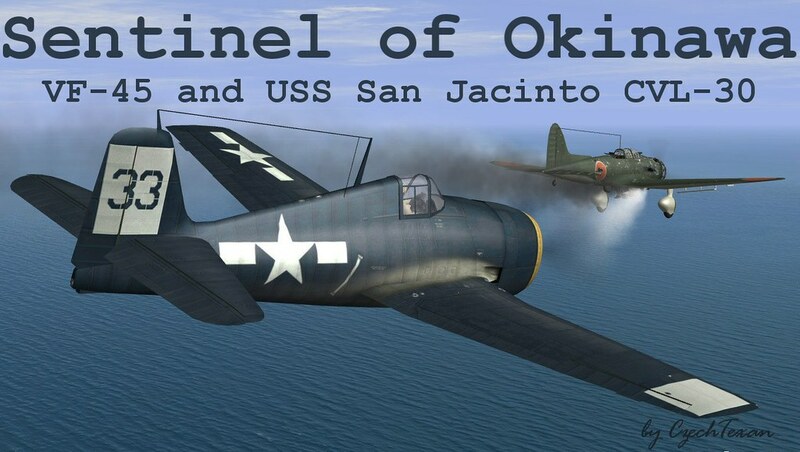 A 13-mission campaign for the F6F-5 Hellcat in which you will fly for the U.S. Navy in VF-45 from the Light Aircraft Carrier USS San Jacinto (CVL-30, named after the battlefield where Texas won its independence) as a part of Task Force 58 during the battle for Okinawa. 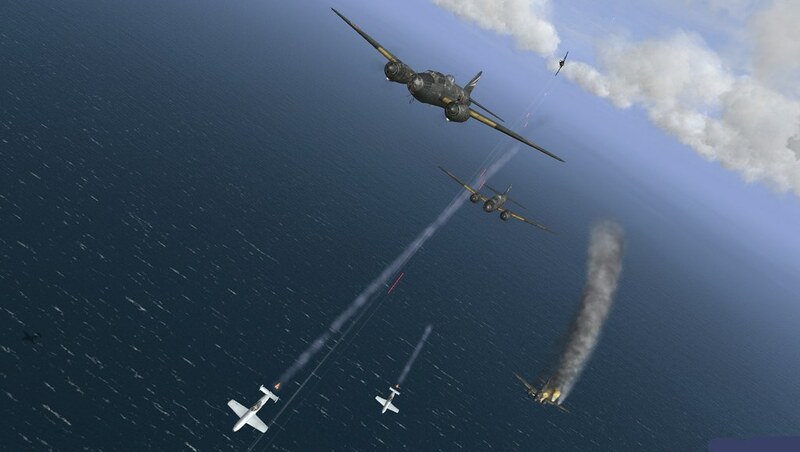 The mission is to attack the enemy at Kyushu, in the Northern Ryukyus, and at Okinawa. 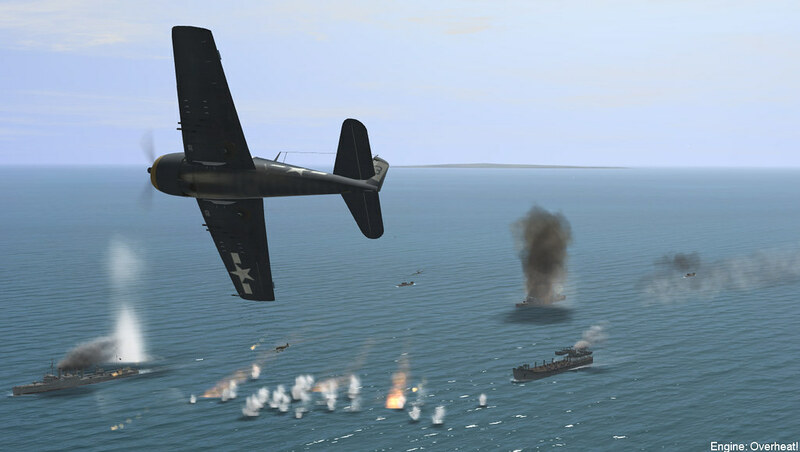 A particular task of the mission is to guard against kamikazes and attack their staging bases in the Northern Ryukyus. This campaign was made in the VP Modpack which already has the mod ships listed below. (I also made new textures for the map and that download can be found on the map's forum discussion page-reply #9). 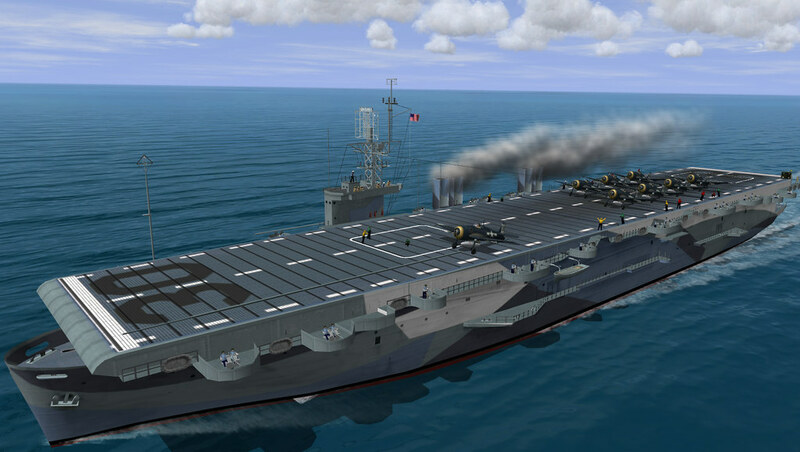 *Must have the USS San Jacinto aircraft carrier. 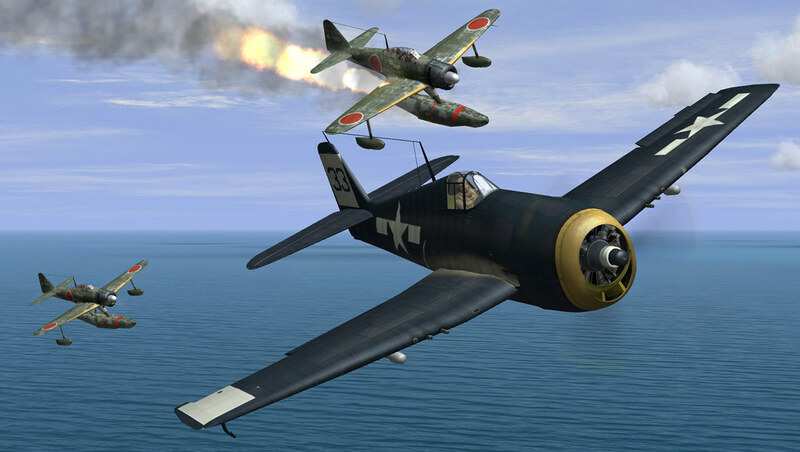 *Must have the A6M-K Kamikaze by SAS~Bombsaway. *I also added new widescreen "background" screenshots. This can be added to your Missions/campaign/UN folder (be sure to backup and save your old backgrounds). One background is named wide_Background_2 ...in order to for it to work just delete the _2 (backup/save your other background first). Skins by Jaypack44, Ronnco, Sakai, vp_media, _Harpia_Mafra55_ and others. 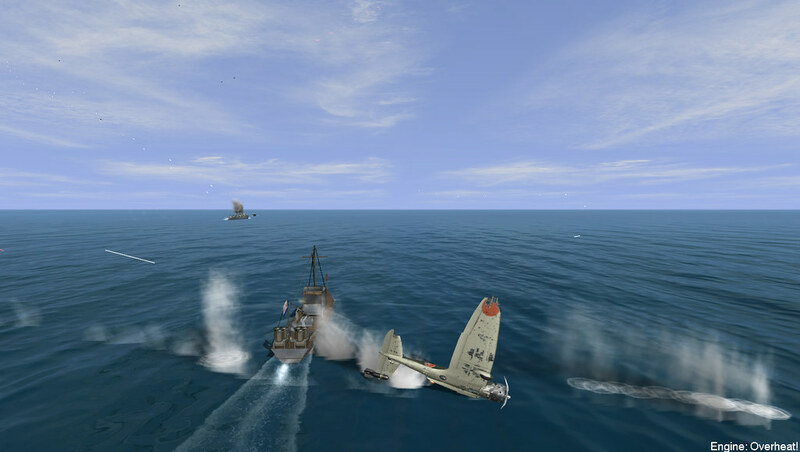 Radar Patrol Stations (RP) consisting of US Navy destroyers, gunboats, and LSM(R)s (Landing Ship Medium with rockets) played a major role against the kamikazes. 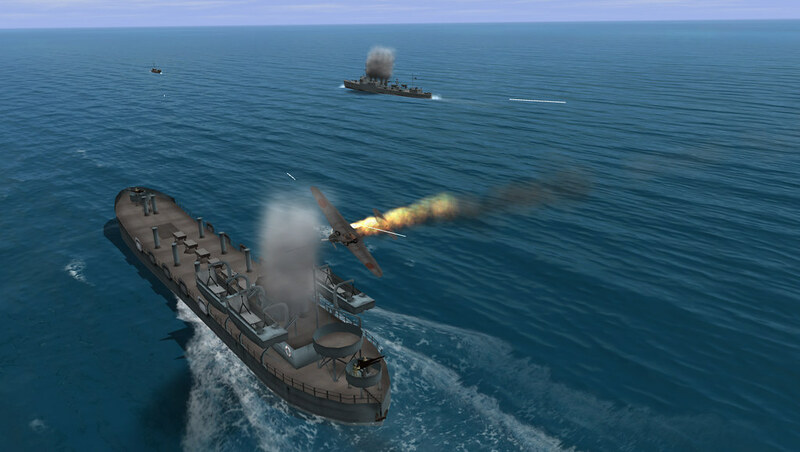 These ships were the first line of defense and were able to pick up the incoming raids on radar to sound an early warning. However, many of these ships were under-armed and were heavily targeted by the kamikazes which caused severe losses. 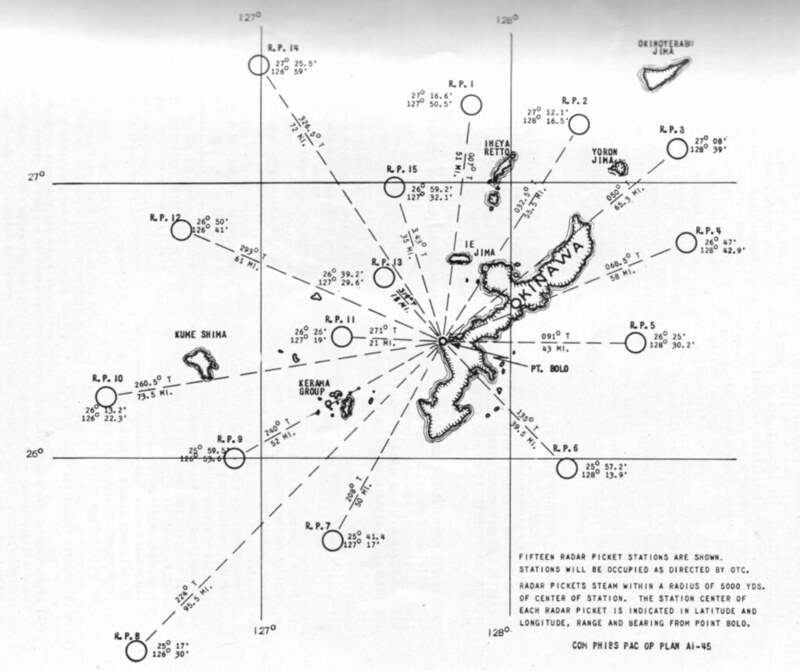 Below is a map of the RP stations surrounding Okinawa. I have a question: in the first mission on the carrier deck i see that all the Hellcat have the same tail number (88) ... is it normal ? is the squadron number or each plane should have different number ? If I remember right, historically, each plane had a different number. The reason why I made all planes "88" is because, in my opinion, having a generic number like 88 is better than having an all-white square. The player can choose the skin with number 33. I hope you don't mind how I did that. Thank you for your answer. Ok i will use 33 ... but just to understand, is there an "easy" way i could change number for each AI plane as i see in many campaigns? Looking great, CzechTexan!Thank you for your answer. If you're talking about changing them in other campaigns then you'd have to open each mission in the Full Mission Builder (FMB) select each plane and check the box "markings on." However, that works best if the skins are generic/blanks with no markings on them. You may need to change the skins.